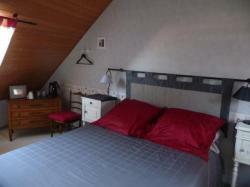 The « Angevine » and « Bretonne » rooms make up the « family suite ». If you stay in one of the rooms, the other will not be occupied, you will have exclusive use of the suite. Am I pleased by fine slate..."
The décor of this bedroom under the eaves contrasts the soft greys of Angevine slate with a warm peony red. A large bed with an antique surround awaits you! A little table allows you to look at the guidebooks provided for your use, write a postcard, or use your computer (WiFi available). The « Bretonne » room is decorated in soft shades of dune and heath. The simplicity of the bed-linen, patterned in "drift of foam", adds to the old-fashioned charm. 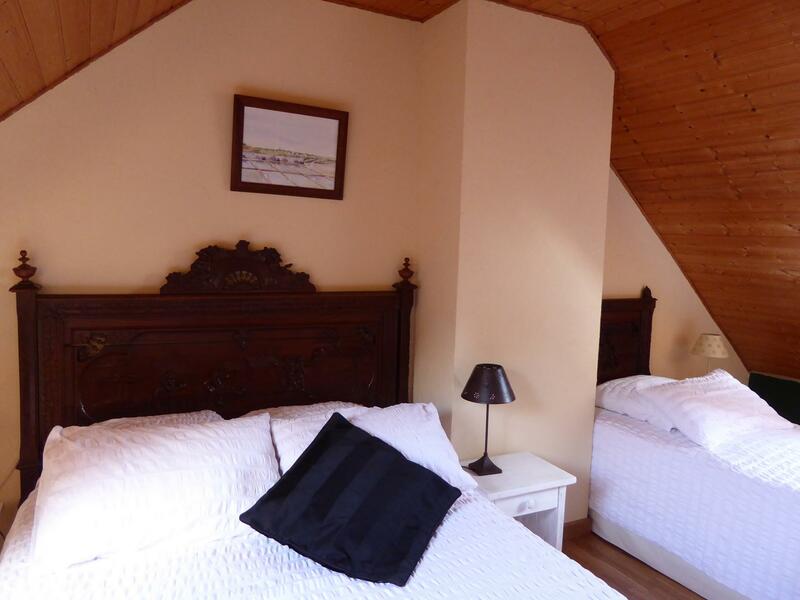 Each room can sleep three people (a double bed and one single). There are tables where you can write, read or use your computer (WiFi available). 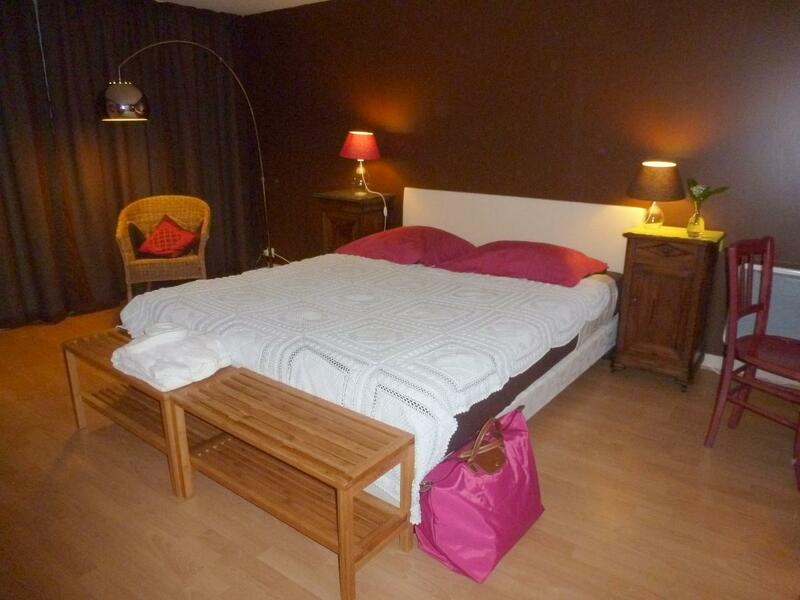 This very spacious ground-floor room opens onto the private garden of La Maison Jaune. The delicious colours of the decor are chosen to suggest the cocoa historically landed at the Quai des Antilles, and the famous local raspberry biscuits called Pailles d’Or. Twin beds can be adapted to form one double bed. There is a sunny bathroom and a private WC. A microwave, kettle, knives, forks and plates are available, as is Wifi access.